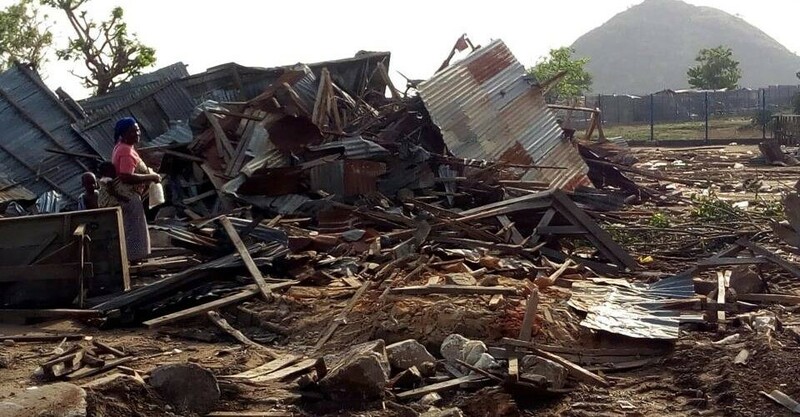 The popular Gosa Market located along the Airport Road was thrown into pandemonium following the demolition of the market by the Abuja Metropolitan Management Council of the Federal Capital Territory Administration (FCTA), in the last week of March. The demolition which came as a surprise caught the traders unaware as many claimed there was no prior notice or warning to that effect. The traders lost their goods and shops, cutting short their only source of livelihood abruptly. They expressed their anger in a series of spontaneous mass protests, setting bonfires on the major expressway leading into the Federal Capital City. The movement of motorists plying the road was brought to a halt while the protests lasted. 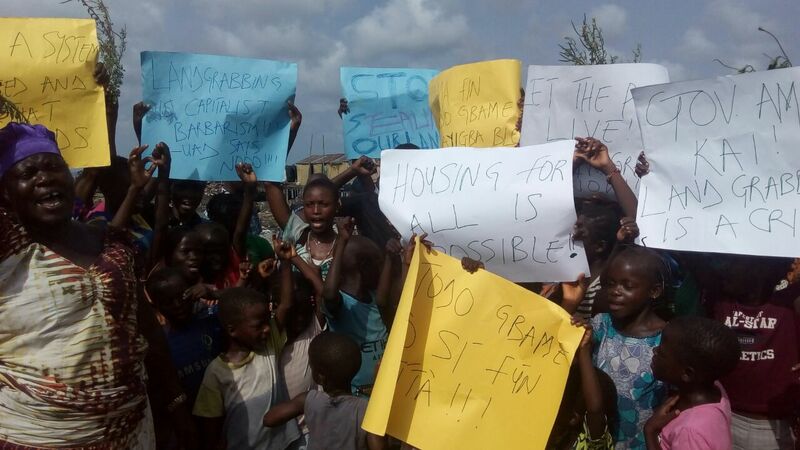 Officials of the FCTA claimed that they had meetings with the traders before the demolition exercise was carried. According to them, the demolition became necessary because traders were encroaching on the highway by trading on the sides of the road, partly accounting for the high accidents rate on the Airport Road. This however will not be the first time we are hearing such lame excuses since the FCTA commenced demolitions of working people’s informal settlements in the city, twelve years ago. 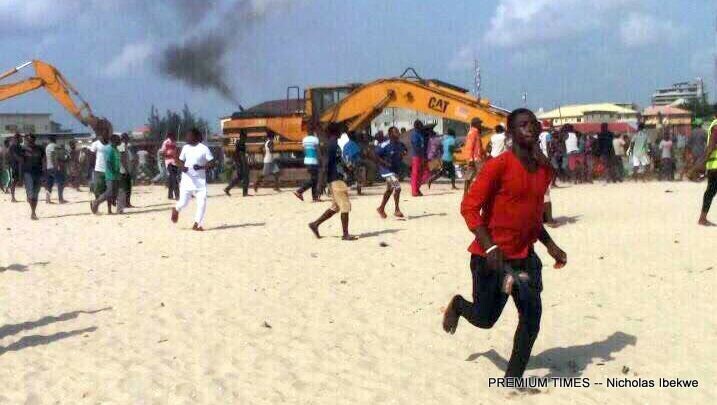 Demolition in Abuja has been a tool in the hands of the bosses’ class whenever they want to grab lands from the poor masses, utilizing the Land Use Act of 1978 which allows the government to expropriate lands. These lands in no time become sites of highbrow building projects by private estate developers. The action of the traders in Gosa Market has demonstrated clearly both the ruthlessness of the bosses, and the power of working-class people. 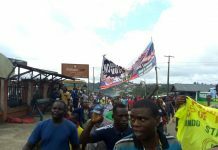 Consequent upon blocking the major highway for two days and thus denying the bosses essay access to the airport with many government officials missing their flights, an embarrassed FCTA was forced to stop the demolition exercise. The traders have been allowed to continue their businesses in the market. The market was merely moved further away from the highway but within the same Gosa community. The new market space created can accommodate 1,500 traders. It also has a parking space for about 500 cars. An important lesson to be learnt from this struggle is that when we dare to struggle, we dare to win!